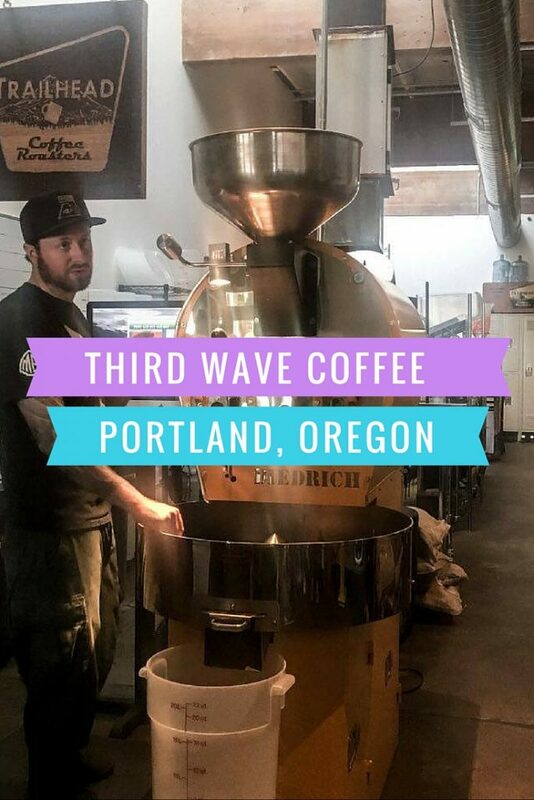 Many people don’t know it, but Portland, Oregon is one of the best places to visit for anyone who even remotely likes coffee. There’s a cafe almost at every turn, just like those high-end places back home where Starbucks branches abound. 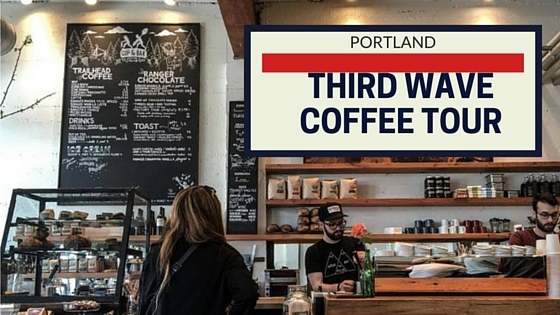 The Portland coffee scene is greatly supported by the “Third Wave” movement. Not just your average 3-in-1 or cheap beans! This group aims to produce high-quality coffee. To them, coffee is not merely a commodity. Instead, it is an artisanal item, much like wine. Skilled roasters use high-quality equipment, giving birth to an all new kind of coffee experience. This is distinct from the Robusta-dominated drinks we have today. And here’s proof — Portland has almost 900 coffee shops. At Cups And Bar with the list of coffee shops to visit. 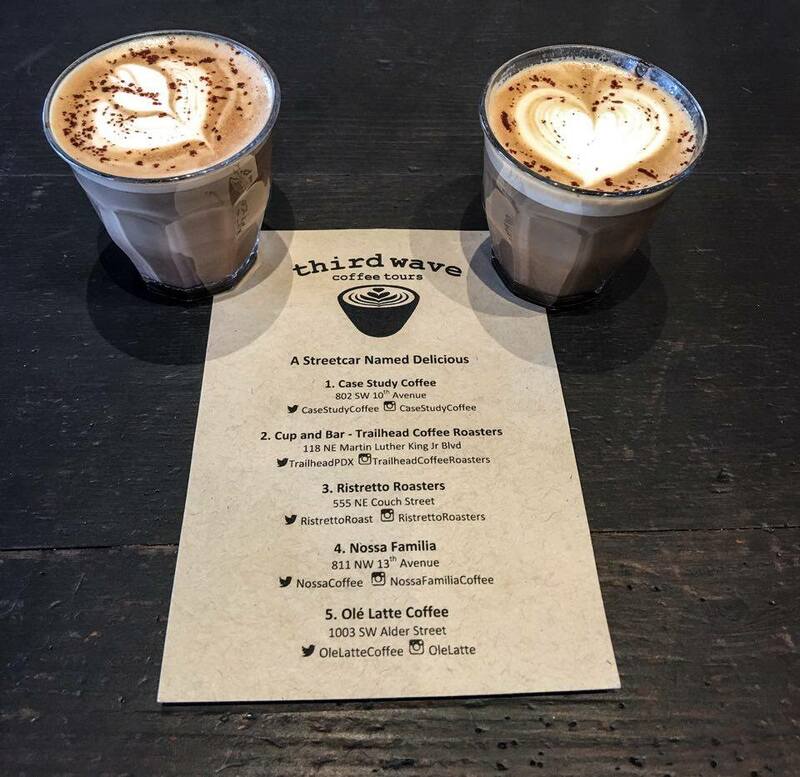 We recently checked out Third Wave Coffee Tours, whose enthusiastic guides run different walking excursions of the Portland’s coffee scene. Each tour lasts approximately three hours long, and each visits a different combination of coffee shops. We took a tour with an interesting title: “A Streetcar Named Delicious”. It runs every Sunday, at 10AM. It is special among others since it explores cafes from both sides of Oregon’s Willamette River. The tour makes use of Portland’s public transit, and traverses through different neighborhoods. 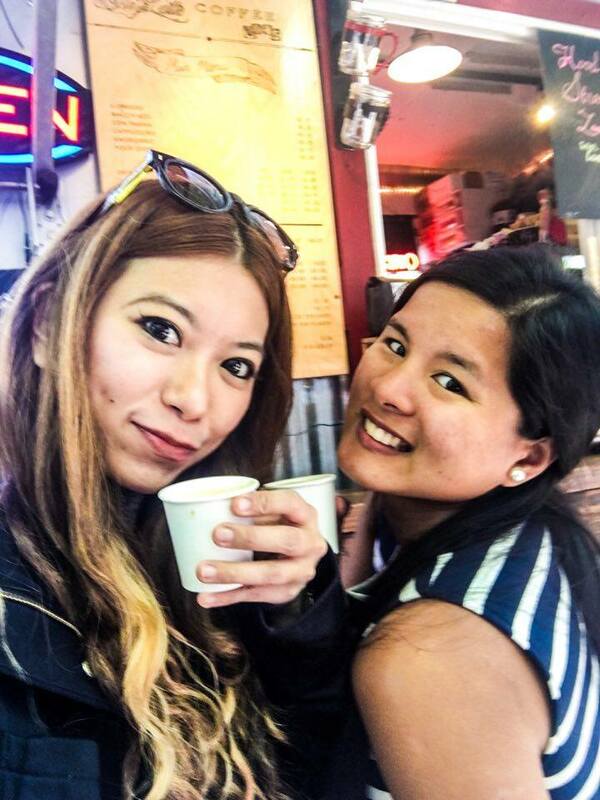 The weather for that day was good, but the time we spent in each of the five coffee shops was even better! It all started in a large cafe named “Case Study Coffee”, located in SW 10th Avenue. After being inducted by the tour-guide on coffee’s history and its production, we were treated to a brew-method demonstration from a barista. In the demo, he showed us how to prepare the exact same coffee in three various ways. He then encouraged us to think about how it affected the coffee. It was like an impromptu seminar — I’m sure I could use these things when I get home. The first method he used through a French press. Here I noticed that the product was a little weaker than what I am used to — the beans were good and all, but the flavor was lacking. This was because all the water is poured in at once, and the filter holes are too big. Because of this, the water did not have enough time to absorb all the flavors of the coffee. In the second method, he used a Chemex coffeemaker. Here, water was poured every 10 seconds. For me, this had a better taste since the water just had enough time to absorb the flavor and aroma. Finally, he used a Kalita dripper. Here, I noticed that the coffee was stronger than the second brew. Good thing I didn’t drink everything in one gulp! This was because the water had been left with the beans for so long, therefore taking too much time to absorb the coffee flavor. This was an enlightening experience for me — and it really was a Case Study in Coffee! We also dropped by Cup & Bar, which emphasizes not just on artisanal coffee but also on chocolate. I found their philosophy interesting — as much as possible, they try to source their coffees from all-female staffed coops. In the cafe, we witnessed the magic of coffee being roasted. It was marvelous seeing the structure of the coffee changing, and hearing the cracks that marked those changes. We were also treated to their specialty “Dirty Charlie”. This is a drink with cacao nib ice cream under a layer of espresso with foam and shaved chocolate as toppings. It looks messy, but looks have never been as deceiving as this. On the side, we had some mouthwatering sourdough toast and jam. 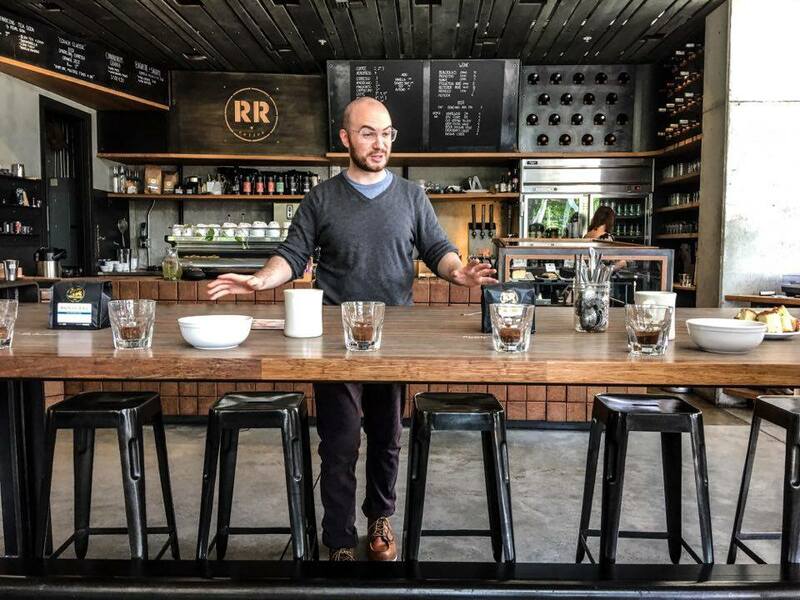 Afterwards, we visited Ristretto Roasters for a crash course in cupping and smelling. This was difficult for beginners, but I really enjoyed it. I also loved the fact that we were given a chance to taste test everything so we can figure out what we really liked. 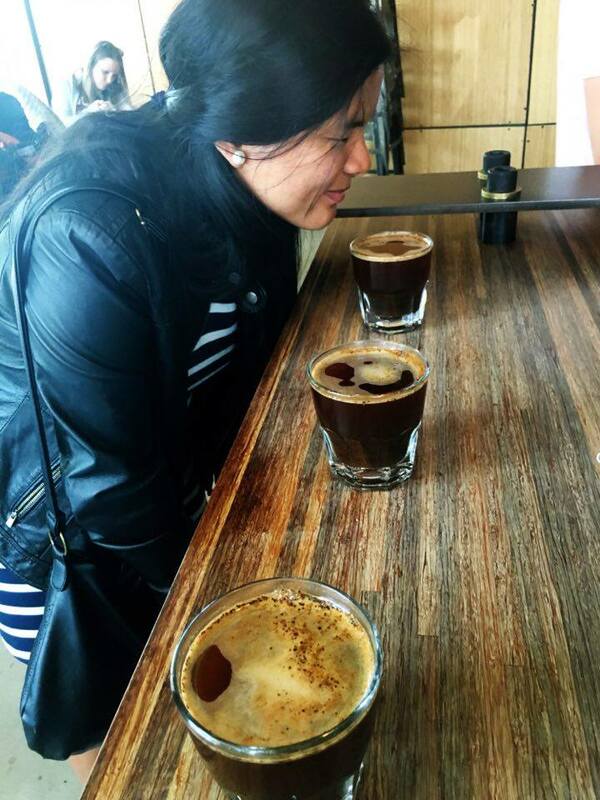 We chose between three different brews of Ristretto coffee — using beans from Guatemala, Colombia, and Brazil. Finally, we dropped by somewhere unexpected — a food truck! 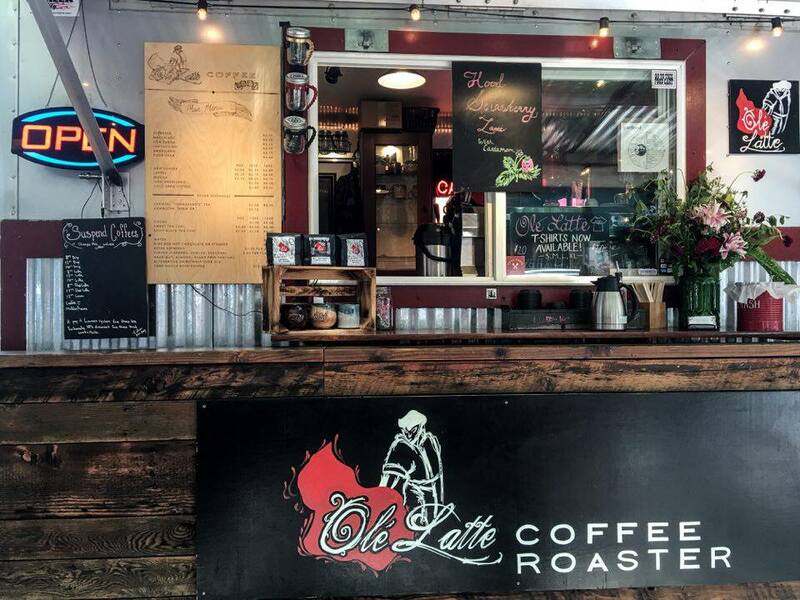 It was called “Ole Latte”, located on Alder St. The Portland Pine latte was great! They made it using syrup from the Douglas Fir, which is the state plant of Portland (hence the name). They also have an interesting “pay-it-forward” process, where you can pay for an extra coffee. Instead of getting this coffee now, though, you can list it on a board where you can get it later. It’s like saving up for those days when you don’t have any money on you and you desperately need a caffeine fix. That happens to the best of us! After that tour, I realized I might have drank too much coffee. I felt so hyper! 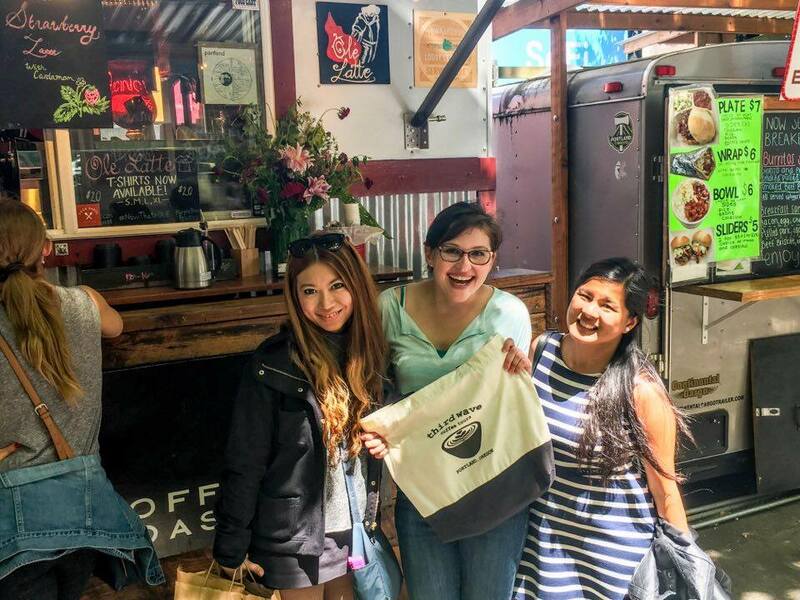 But my friend didn’t mind — she loved the tour so much that she bought a bag of coffee beans from every shop. 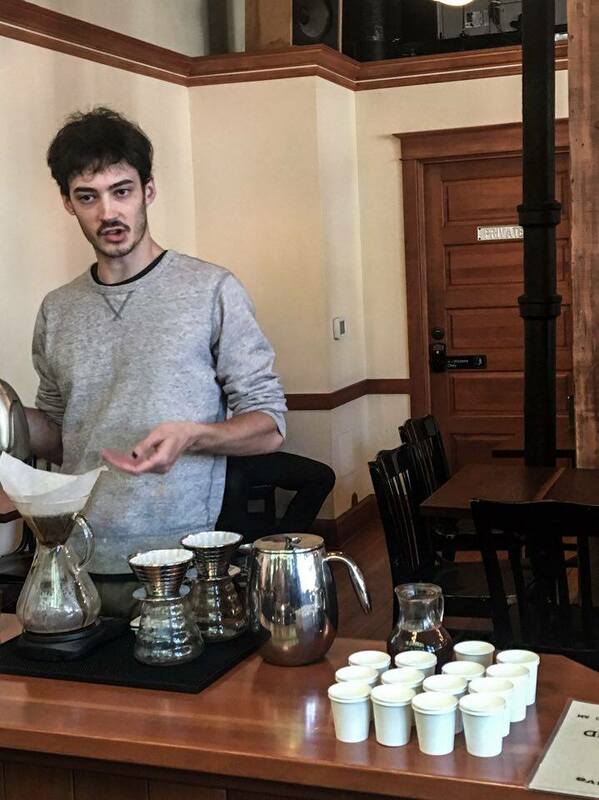 It was a really great caffeinated experience — and we learned a lot, too! If you’re anywhere near a coffee lover — or even if you’re just curious — I highly recommend A Streetcar Named Delicious. If you can’t make it on a Sunday, Third Wave also runs tours on other days of the week. There are different formats and different cafes to go to each day. You can go to the posh Pearl District on Tuesdays, and downtown on Wednesdays. If you’re doughnut crazy, you can hop in on Thursdays — while those who love to keep fit can avail of the “running” coffee tour! Third Wave Tours can be booked online for $40, and it is recommended that you book in advance especially during peak season (which often falls during summer and spring). It’s around those times when you have strict competition from caffeine junkies from all around the world! That coffee looks divine and the tour looks incredible! I have family in the coffee business – so this particular one is of great interest to me. That sounds like the most amazing place in the world. I could live inside there. That is so me! I absolutely love my coffee. I don’t get up in the morning and start my day with some random on sale stuff. I go for good coffee, so I would love this tour. Wow, 900 coffee shops? That’s almost enough to keep my daughter caffeinated for a week, haha. This sounds like a fun tour for coffee lovers and it’s at a reasonable price too. This looks fun! After having my kids, I’ve found a new love of coffee, but it’s hard for me to drink it without an excess of cream or milk! It’s interesting how much of a difference the method makes in the taste. What a neat event to attend! So many great coffee places. I now need to make a cup of coffee. While I’m not a coffee enthusiast (I’m more of a water or tea drinker) this tour sounds like it’s very educational and informative! I have several coffee loving people in my life that would enjoy something like this. Coffee is so important to my morning routine! I’ll have to check out Case Study Coffee! My husband is a total coffee snob! He has to have coffee that has been freshly roasted and he’s very particular about how it’s roasted. He’d probably love this tour! Now this sounds like a fun way to experience Portland. These shops are all so cool! What a fun tour for coffee lovers. I would absolutely love to take the tour and taste some of those great coffees. I would love to check out Portland, Oregon. I love coffee. This is the perfect tour for me. The more coffee, the better. This tour sounds absolutely amazing! I am a coffee lover! Those look really good, I love it! I want to be there! love to taste those coffee! I’m such a coffeeholic that this would be my dream tour. I’d love to visit these sites and have a “cuppa” at each one. This tour is perfect for both non coffee and coffee lovers! It’s nice to be able to taste different coffee flavors and learn more about how it’s made. I love exploring new coffee shops!!! This looks like a great place to grab a cup of coffee when in Portland, I love the environment of the shop! How fun! I love everything coffee and would love to go to a coffee house and try a variety. Great pictures from what looks like an amazing day! This is my kind of tour! I definitely need to go on this! My husband is going to Portland next month for a guy’s trip with his brothers. I need to recommend this to them. Everyone in the family is a big coffee drinker. This sounds like such an incredible place to visit. We are coffee enthusiasts so if we are ever in the area, we will check it out! Wow, I love coffee! I would like to go there and explore this coffee tour! wow that’s a fun way to explore. I’d love to take this kind of tour. My mother-in-law and a few other people I know would love to go on a tour like this. I’m not a coffee drinker but I definitely give an experience like this a try. This looks like the perfect place for all coffee lovers. Cups And Bar looks like such a sociable place. great to know thanks. I’m not a coffee drinker but I would still love to do this tour. And, I can see you’ve mentioned chocolate so that would make up for the lack of coffee tasting for me. I’ve heard a lot from a friend that Portland has a real foodie culture. Looking forward to getting there one day. coffee addict here and I would definitely raise my hand to join all those tours! From your photos, looks like it was a lot of fun! coffee is such an interesting subject. I’ve done the London equivalent…and apart from feeling slightly jittery loved it! YES! I’ve been on food tours, beer tours, and chocolate tours, but never heard of a coffee tour before… AND I’m planning a trip to Portland soon. Adding this to my list! I love coffee as much as I love beer. This is like a beer tour for coffee. Love it!!! How hyper where you guys after drinking all that coffee? Looks like a fun tour. It’s always nice to learn the art of something like coffee. We drink it rather mindlessly and probably aren’t as aware as say a wine drinker is about wines. I love when baristas make little designs in your cup, this looks like a great spot to visit in Portland! 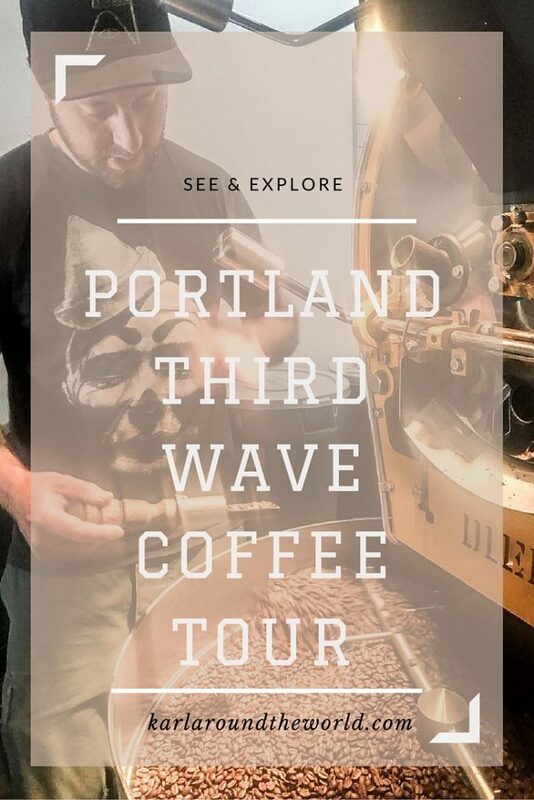 I do not know much about Portland at all but a coffee tour? sounds great! I am a coffee addict and I can see that the coffee are all good! I am sure you had a great time. I am a real coffee-lover and this looks right up my alley. I had no idea about the coffee culture in Portland, sounds like a must visit for coffee addicts like me! I love that coffee tasting is now a thing! Never heard of it but as a coffee lover, I am blown away! Thanks for sharing this! I’m no stranger to coffee, but I would love to go on a coffee tour! There’s always something new to learn and discover about the process, one of the many things I love about it. Wow! I want to experience this tour. I am a coffee lover and I can’t live without it. This tour would be right up my alley!! I love coffee and I love visiting new coffee shops. 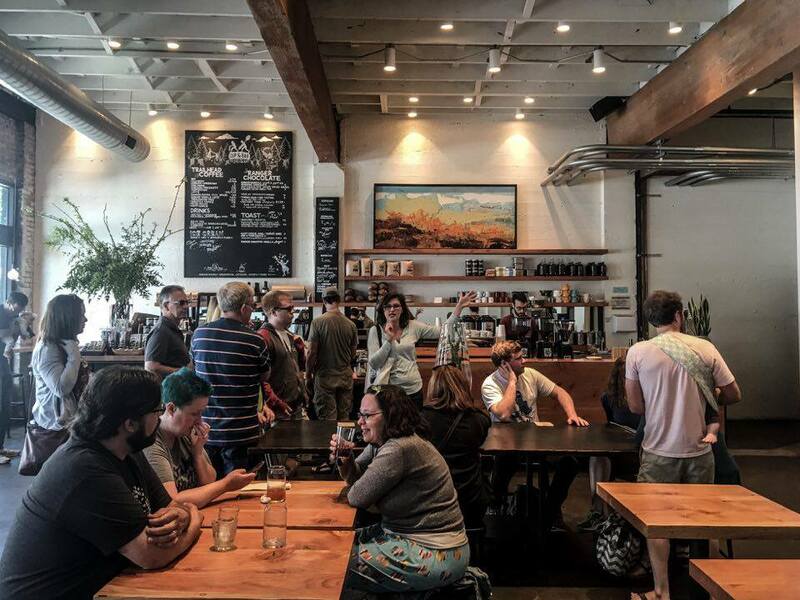 I never knew there were around 900 coffee shops in Portland–that’s so crazy! I love that you learned about some different brewing processes as well. I never thought much about how that can change the taste. I’m definitely going to have to check this out sometime! Yep, Portland sounds like my kind of place. I’ve only been to the US once and just went to Florida and New York where most of the coffee I tried was burned filtered coffee. Not a fan. I’m from Australia – where they take coffee seriously – so when I come across an area like this, I get pretty excited. Actually I’ve heard some really great things about Portland in general so next time I go back I’ll have to make time to visit. 🙂 Thanks for sharing! I think Cup & Bar would be my favorite because of the chocolate! 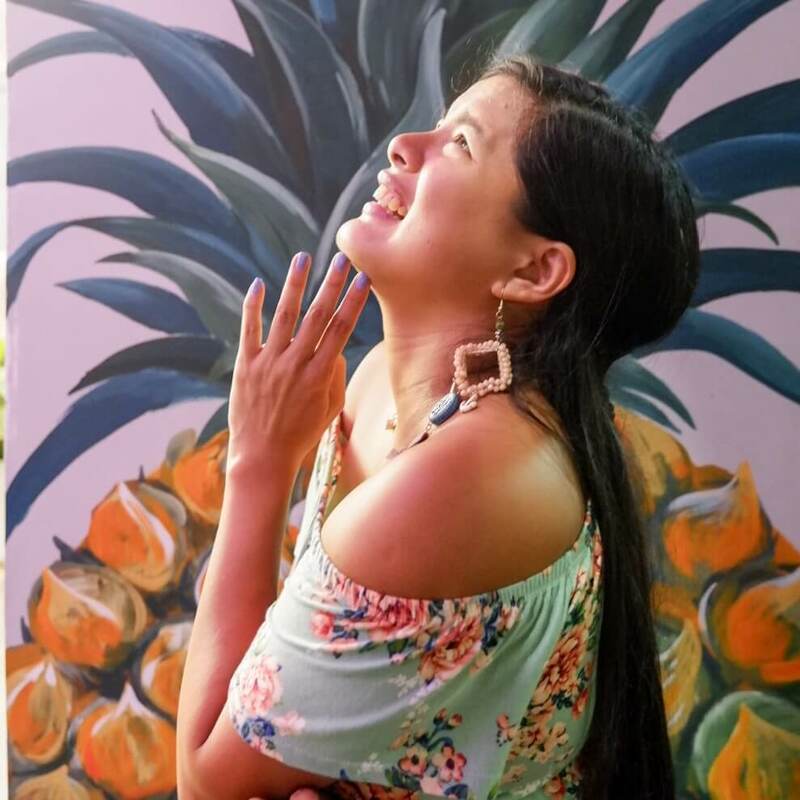 While traveling in Costa Rica I had a lot of cacao nibs so now I try to get my hands on it every chance I get! That looks like a fantastic stress reliever-cups of espresso to sniff! Nice tour. I wan tot experience this too. I am a huge fan of coffee. Looks like a fantastic tour for any coffee lover. I’d love to do a tea tasting tour!